The trick for suspension modifications is accurately gauging what your vehicles and accessories weigh, and adding it into the equation. It looks like there has been a fair bit of midnight oils burnt down around Kilsyth over the last few months, with a big range of new ARB 4X4 accessories being announced. We thought we’d put together a quick list of some of the most exciting stuff. 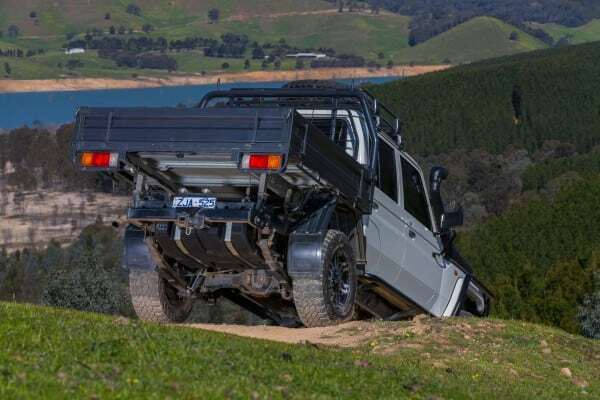 Once upon a time, going into an ARB store and looking to increase the touring range of your 4X4, you’d be offered a quality steel aftermarket tank, either replacement or auxiliary, which is made by The Long Ranger in Barnesly, New South Wales. Nowadays, ARB are manufacturing their own range of long-range tanks, opting instead for a ‘cross-linked polymer’ as the construction material. Wall thickness of this plastic is around 7-9mm, and ARB claim a huge weight reduction over a comparative steel tank. ARB’s development engineers must not have been getting much sleep lately, as this Frontier tank is now available for a dozen different late-model 4X4s, with plenty more announced in the works. Would we prefer one of these units over steel? We’d have to have a closer look at them, which we will do in the near future. We like the idea of weight saving, that’s for sure. Either way, you’ve got the option of both. Mazda’s BT-50 has lost it’s trademark smile with a new updated, with some subtly lessened expression on the front end. It hasn’t been out long, but ARB have already catered for it with their new range of barwork, called ‘Summit’. There’s a Summit rear bar and bullbar to suit your BT-50 from 2011-onwards as well, not just the facelifted model. This follows on from the BT-50’s half-cousin, the new PX and PXII (facelifted) Ranger also getting the Summit treatment, so to speak. 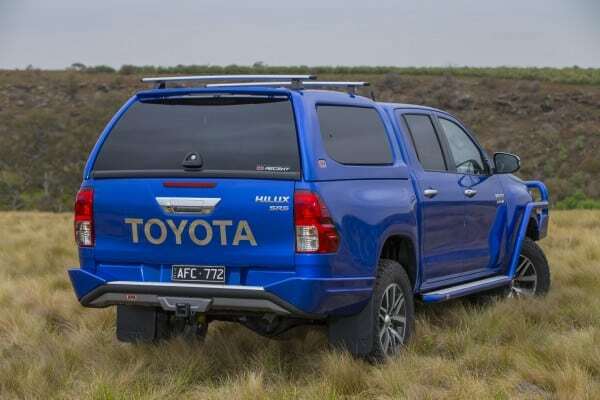 And of course, this new range of accessories wouldn’t be complete without catering for the HiLux, Australia’s most popular 4X4 by sheer numbers. This includes the new-style Summit bullbar, side rails and steps to suit, and that oh-so integrated Summit rear bar. There is also an Ascent canopy available, along with just about anything else you please, either now or in the near future. The Suzuki Jimny hasn’t been forgotten either. We’ve noticed ground clearance isn’t always crash-hot on our long-termer Jimny (read about that here), so under-vehicle protection could be a good option. ARB have a 3mm, pressed and folded sheet steel, which protects the somewhat-vulnerable transfer case. Very interested in the Frontier fuel tank for my Dmax, but why do they not have a drain plug in case having to empty the tank if one gets a load bad fuel? I agree with Jon Walter. I have a new Pajero Sport but there are no aftermarket options available. 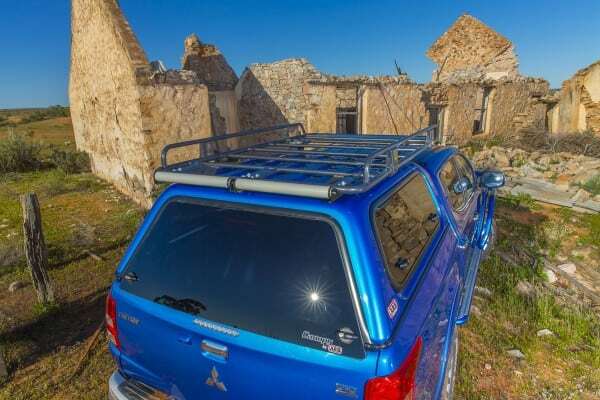 Mitsubishi are getting a large number of sales on this vehicle and a good opening is available for any aftermarket supplier. 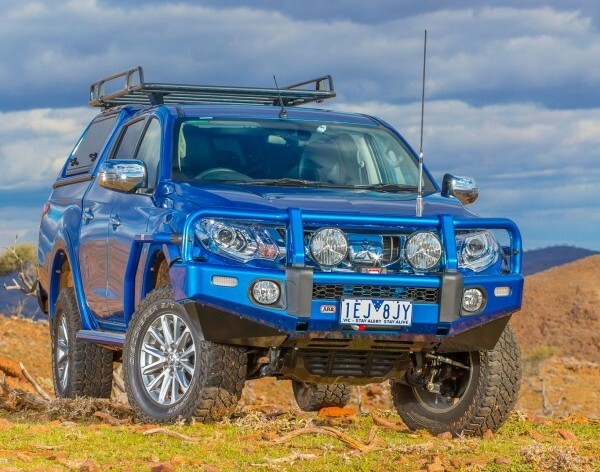 When will an alloy bull bar be available for the Ford Everest Trend, also a long range diesel tank, either replacement or additional.